Curious George 3: Back to the Jungle is a straight-to-DVD animated film released recently by Universal Studios. I don't think I ever saw the first two movies and didn't really have any desire to watch this one, but I was provided one free to review so I checked it out. It seems like a fine animated film for younger children but there isn't much here to offer adults unless you're already a Curious George fan. The animation is traditional hand drawn which was nice to see, and there are a few scenes where are really animated beautifully. The artwork is fairly simple but that's not necessarily a bad thing. The voice work is also well done, it's nothing amazing but it fits nicely with the animation. The awesome Frank Welker voices Curious George, though he doesn't actually speak, he just makes annoying monkey sounds. 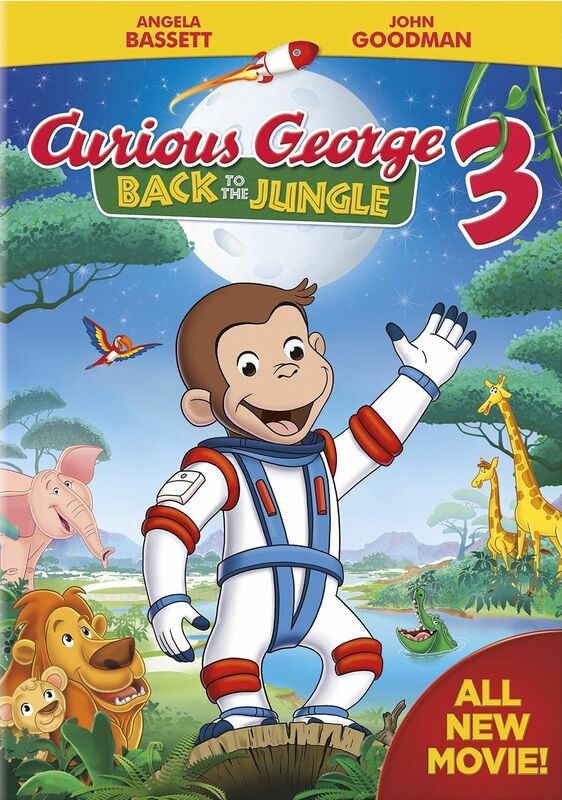 The story finds Curious George first going into space in order to retrieve a device from a satellite that is apparently impossible to rebuild, and then winding up in the jungles of Africa because things go wrong due to him goofing off. But that's Curious George so it really wouldn't be a Curious George movie if he didn't goof off and cause problems. I liked that there was no villain in the film, all the conflict was caused by overcoming obstacles. The only extra features on the disc are four sing along songs, Ordinary Superman, Welcome to Paradise, Beautiful Wild, and Together Forever. I would have liked to have a featurette exploring the origins of the character, but oh well.